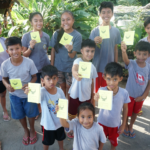 After driving through busy streets and walking through docked fishing boats, World Vision ambassador Gretchen Ho found herself in a poor community in Davao supported by World Vision. There, she visited three out-of-school youths whose education has been put on hold because of poverty. “I am amazed that they all want to complete their education. They have dreams,” Gretchen shared with awe. She saw the gleam in the children’s eyes as they shared what they aspire to be someday. Some mentioned that they wanted to be a soldier, an engineer, a teacher, a policeman, a seaman, among many others. All of these youth have wonderful stories to tell. One of which is the story of Jonas. Jonas is one of the children who have docked their dreams on the shore. Charged with a burden to support his family, Jonas might have been left with no choice but to set his dreams aside. But however hard his life has now become, the desire to go to school and to finish it still remains. 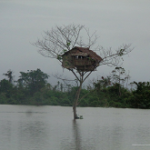 He does not know when that would happen, but he is confident that the hope that Gretchen and World Vision have brought for him promises a bright future. When asked about what he wants to become someday, Jonas said he wanted to be a seaman and that he would visit every country in the world. Jonas’ dream is one of those that are anchored only for a while. With hope as his driving force, this dream is surely bound to set sail in the coming years. “It is inspiring to see the fight in the children here. 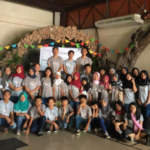 At a young age, they have already experienced a lot, but you can see that their hope for education and aspiration for themselves are very much alive,” Gretchen said. Every child deserves a full life. Join us and make a difference. 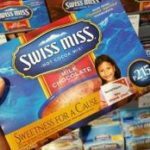 Swiss Miss, the leading cocoa drink in the world, partners with World Vision in improving functional literacy for the children of Baseco, Manila.